As an auto dealer, you might never get to say “Get off my plane” to a real terrorist. But you can join the fight against international crime and terrorism just by using the “OFAC” button in DeskManager. If your customer’s name matches a name on OFAC’s list, you’re legally required to take some additional steps to establish the customer’s identity. 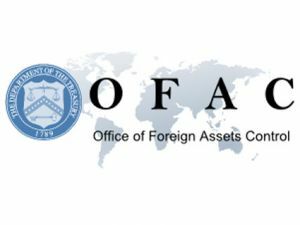 “OFAC” stands for the Office of Foreign Assets Control, a branch of the United States Treasury Department that tries to deny resources to enemies of the state. OFAC maintains a frequently updated blacklist called the Specially Designated Nationals (SDN) list, criminals who are prohibited from engaging in business. Now you could just search the Treasury Department’s website each time you start a deal, but we wanted to make things easier for you. So we included an OFAC button next to the customer name fields on each deal or lease screen that scans the government’s list for name matches. If it finds one, you’ll get a big “WARNING” screen that tells you what to do next. If you don’t get one, you can proceed normally with the sale. To run a complete search, make sure you enter the customer’s full name and employer name before you hit the OFAC button. OFAC checks are free for all DeskManager users, and it’s important to start training your employees to run them on every customer. This policy can reduce your chances of being accused of discrimination down the road. For more information about DeskManager features and services, visit our website.